We say dogs are a man’s best friend, but sometimes it seems like there might be a fine line between relating to us and making fun of us. That could be the case with this video of a boy and his dog. Watch and see what you think. 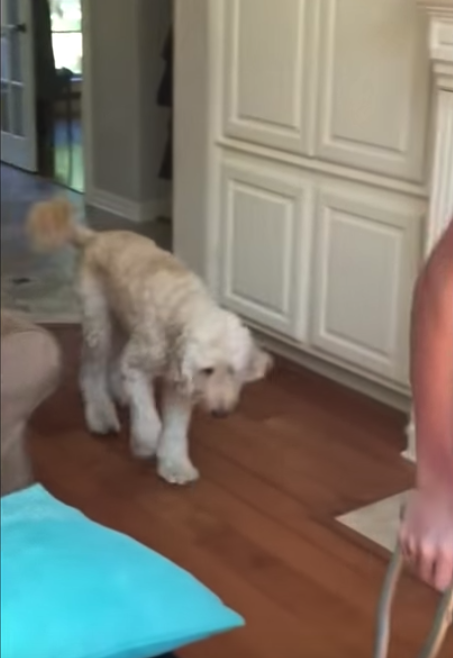 Is Sawyer the dog demonstrating compassion or a teasing sense of humor? The boy limps into the room with a big cast on his leg. He’s getting around with the help of crutches. His loyal dog Sawyer could be his shadow, right down to the moves he’s making. You’ll see Sawyer limping right behind the boy. 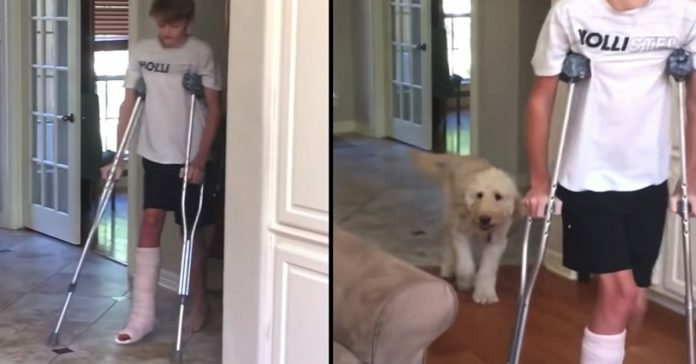 Based on what Sawyer does, he might just think he’s on crutches himself, or maybe he wants some of the attention he’s seen his brother get. 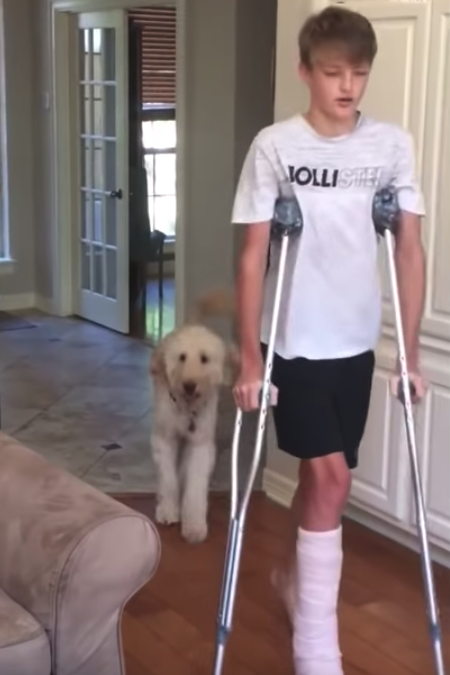 Apparently he never did this until his human brother hurt himself, and the parents thought it was so funny they just had to capture it on video.